Short walk to the Bandon Beach Riding Stables! Sunset view as seen from the living room. This split-level house has amazing views of the Pacific from the kitchen, living room, dining room and master bedroom. 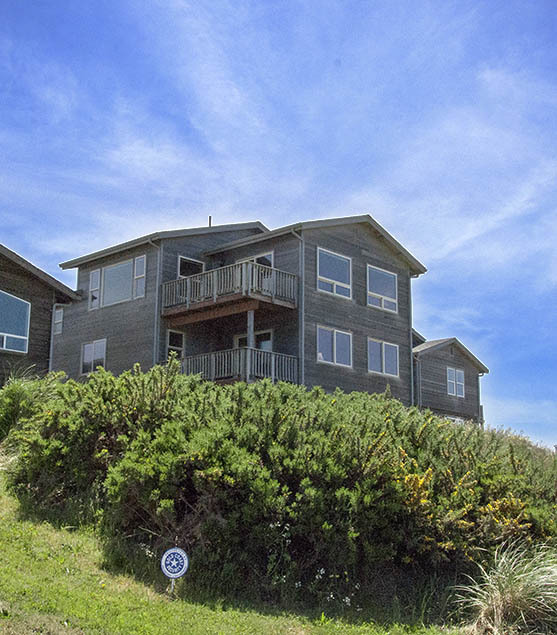 The Master bedroom has a California King bed, private deck and sweeping views of the ocean. Relax in the master bath jet tub as you watch the sunset on the sea! The second and third bedrooms have queen beds and views of the riding stables and green meadows. The fourth bedroom has a twin bunk bed. 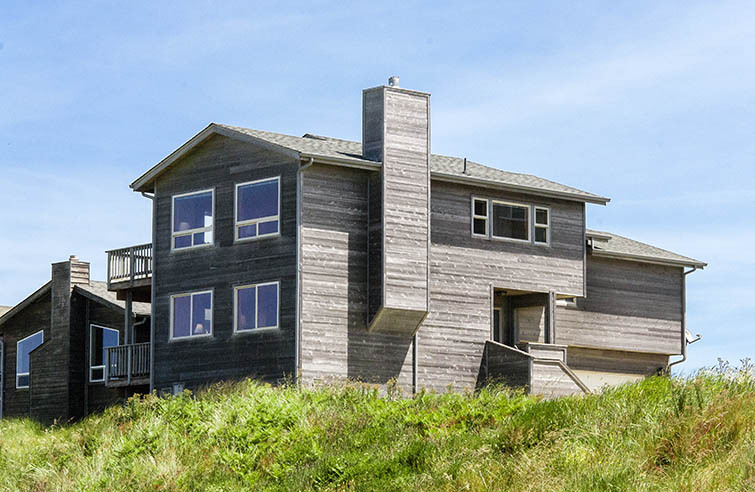 Spyglass House sits atop windswept dunes in a quiet natural environment amidst the most spectacular whitewater shoreline in Bandon. And it is just steps away from the beach. 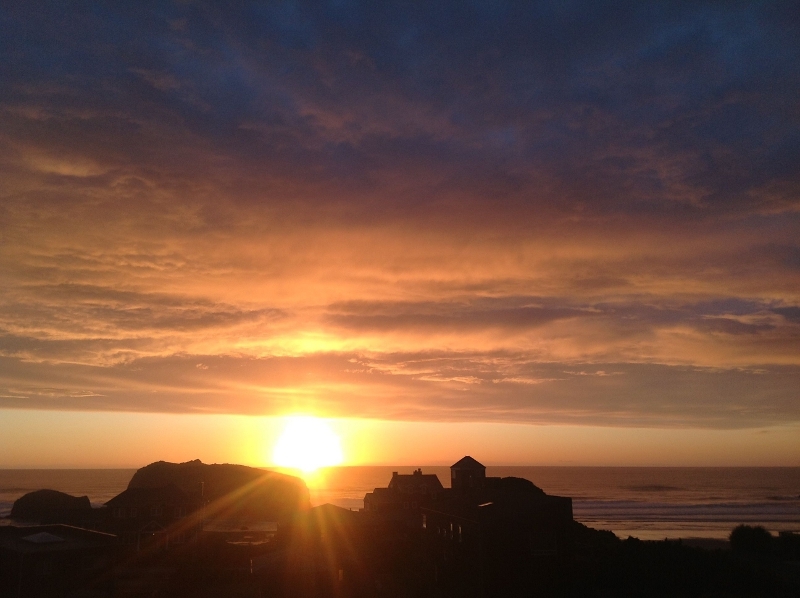 From your rooms atop the bluff, look upon mile after mile of the dramatic sea: blazing sunsets, whales, the Haystack Rock bird habitat, the drama of the Pacific storms, etc. Walk your beach to nearby Devil's Kitchen park. A separate one-time $145 cleaning fee applies to this vacation rental. Full payment due 30 days before arrival date. A refundable deposit of $500 is charged at booking.